You get the delicious Vanilla flavour here and it comes in 2 sizes to choose from. Click the drop-down menu to choose either 400g (13 Serves) or 1kg (33 Serves). White Wolf Nutrition’s Vegan Protein Vanilla Flavour is an All-In-One protein. 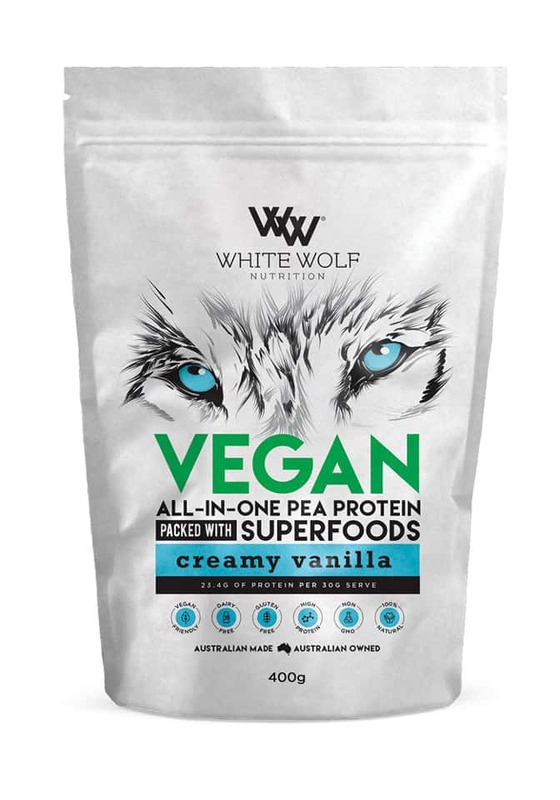 You will love the fact it is smooth and creamy, naturally complete, quick releasing protein made from non-GMO, superior organic Belgium golden-yellow peas, extracted through a natural process to ensure maximum bio-availability. It is naturally sweetened using organic Australian stevia. 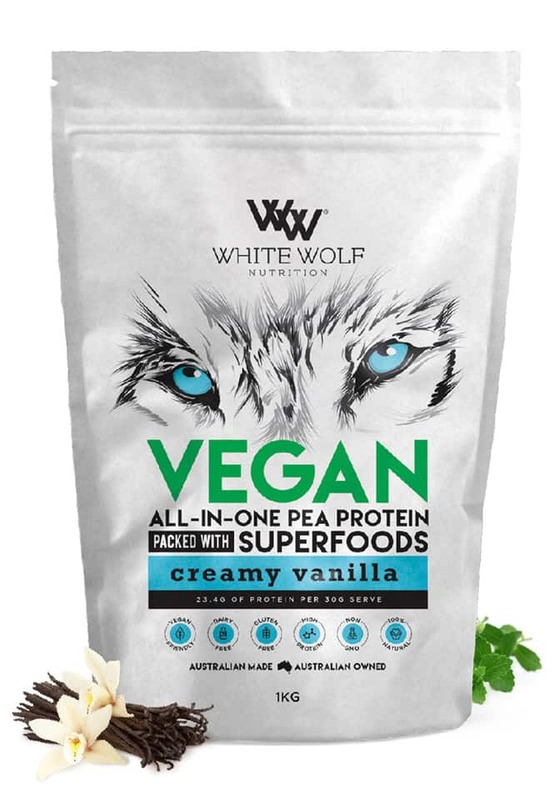 You will also love that it is flavoured with a natural, creamy, organic vanilla that has been sourced locally from Australian farms. Our protein powder has been scientifically formulated to provide key nutrients that are essential for people who follow a vegan diet. and is free from dairy, soy and Gluten. 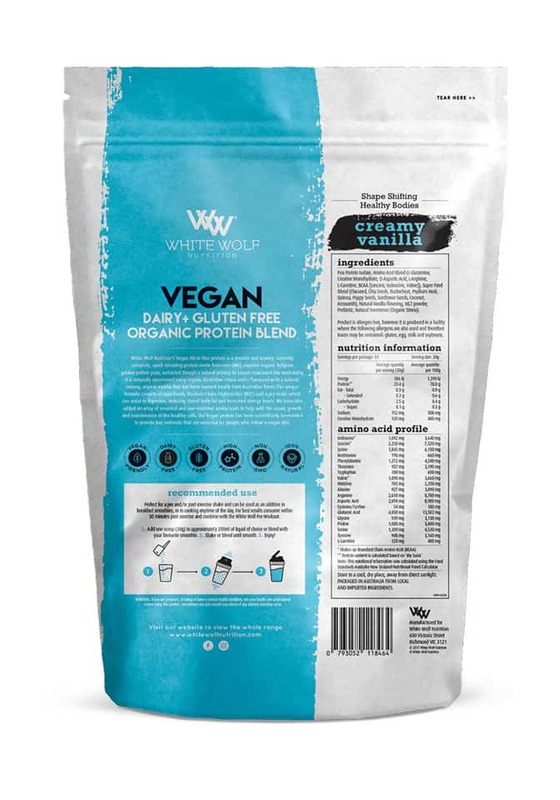 We don’t even need to add artificial sweeteners, thickeners, stabilisers or gums in our Vegan protein powder blend. By minimising the number of ingredients we can maximise the purity of the pea protein. This results in an easily digested, quick releasing formula that is absorbed faster than other proteins. Then combined with the rich abundance of amino acids, our formula enhances energy, muscle recovery, endurance and whole body performance. It also supports hormones and the immune system, has a detoxing effect and is highly alkaline. then naturally sweetened with organic stevia. 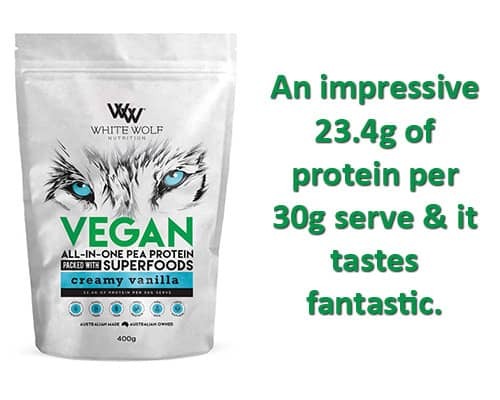 Try the Vegan Protein Vanilla flavour today and see the results for yourself.